Ballot harvesting is illegal in most US states and the rest of the world. In Texas, New York and Pennsylvania they arrest people for ballot harvesting. California, on the other hand, has a law that actually permits it. Anyone can turn in ballots now, no questions asked, no chain of custody required. California’s AB 1921 allows voters to give any third party — not just a relative or someone living in the same household, as was previously the law — to collect and turn in anyone else’s completed ballot. Orange County, traditionally a conservative enclave in Southern California, turned all blue for the first time in living memory after Democrats found hundreds of thousands of votes after election day. 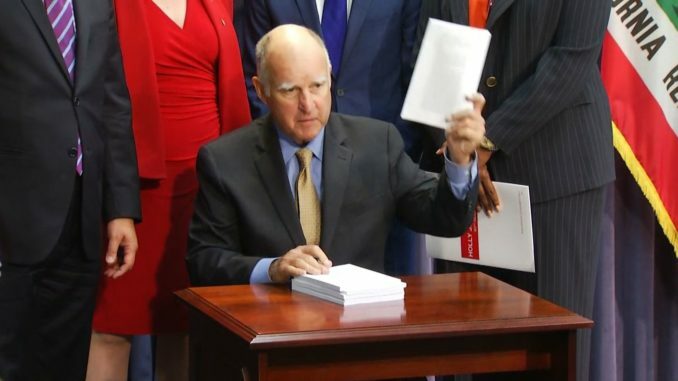 The amount of mail-in ballots counted in Orange County was unprecedented – a whopping 250,000 ballots were produced in OC as a result of Jerry Brown’s new “ballot harvesting” law. The case of Korean-American GOP candidate Young Kim was one of the most egregious examples. On election night, Kim held an 8,000 vote lead over her Democratic opponent Gil Cisneros, and even attended freshman orientation in Washington, D.C. before watching her lead, and her victory, slowly disappear in the subsequent weeks as Democrats kept handing in “found” votes. GWP reports: The voting system in California is so bad that a Democrat in California’s 21st district who was down by 6.4% on election night ended up winning three weeks later. Now again, no Trump no DOJ wth did we vote for? Talk talk talk?